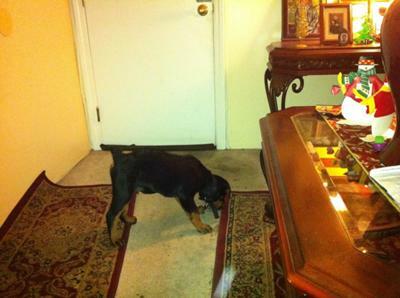 Here is Rocky the Rottweiler! I have had rocky since Nov 30, 2011. 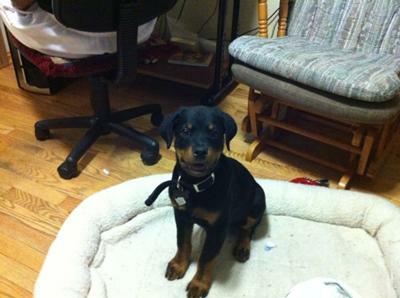 He is my First Rottweiler and he is very playful. He loves to chase a laser that I have, and after he plays, he gets tired and goes to sleep. He also chews on everything, and loves to eat. My girlfriend and I are getting married and I'm going to buy another Rottweiler for Rocky so that he can have his Girlfriend too. 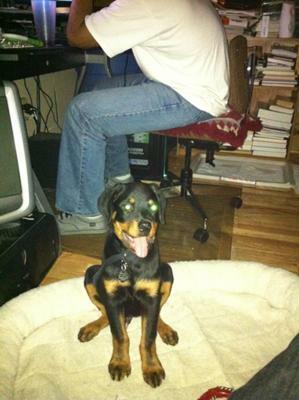 I have been Reading about being careful to not breed Rottweilers with Faults, and I want to know if my dog has faults. 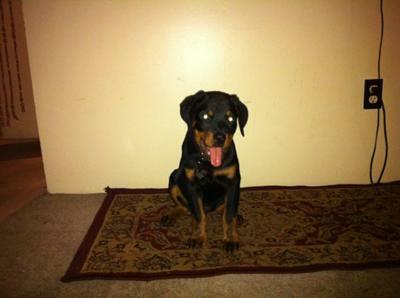 I still will love him anyways, but since I want to breed him I don't want to do a mistake and breed an inferior Rottweiler. I used to breed other Dogs back in my country the Dominican Republic.